I always have problems with earphones not fitting in my ears properly which is why headphones are a great alternative for me. I have had a pair for around 4 years and they are looking a little sorry for themselves so it was time to chuck them out and get a new pair. Prezzybox.com is an online gift shop that has quirky and unusual gifts for all of your loved ones. From cool gadgets such as the iPhone lens kit for your partner and vouchers for weekends away for Mum and Dad. Is your sister a wine lover? Maybe the LED wine glass is the perfect gift for her. 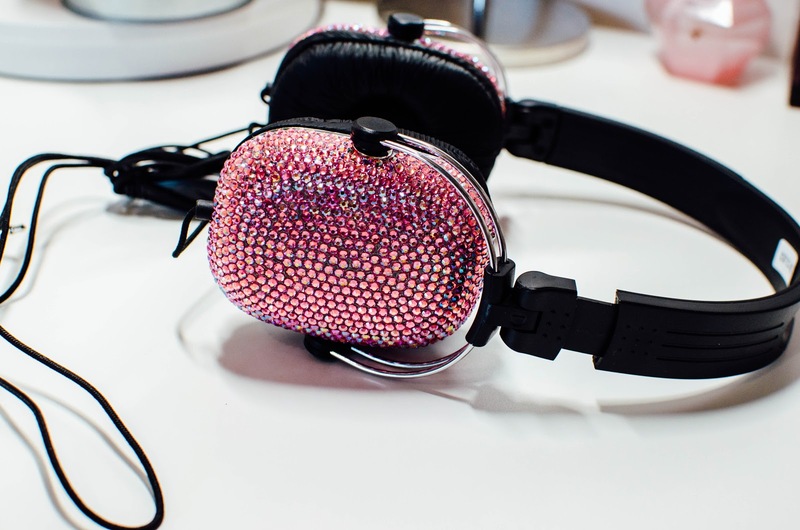 Having recently dyed my hair bright purple, I couldn’t resist picking out the pink diamond headphones which are only £17.95! They are very in your face but perfect for any girl who loves pink! Or maybe you’re an adult like me and could see yourself styling them every day too? So, how do they perform? Are they worth it? For £17.95, they are very cheap compared to other headphones on the market. 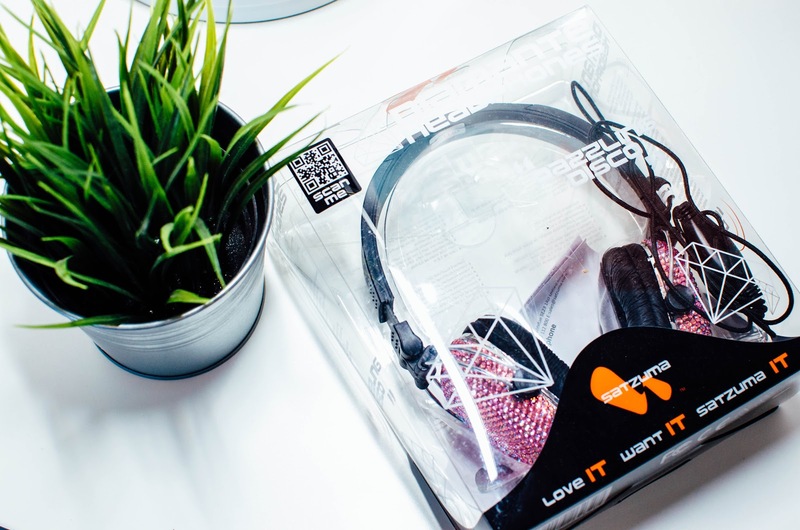 If I was investing in a good pair of headphones, I would probably avoid anything under the £70 price mark; so it was interesting to try these out to see how they perform. They have an AUX cord which plugs into iPhones, iPods and other MP3 players that have an AUX hole. The cable is a rope type material which is wonderful because it means one thing… no knots! Unlike earphones, there is no stress walking to the train station trying to pick at a million and one knots in the cables. Great for kids too might I add! There are no buttons on the cable which I am not used to as my previous headphones had a play/pause button and two arrows that you could press to shift songs back or next. What they do have however is a volume dial which is great to control the volume of your music without having to get your phone out. They also fold up which is really handy for when you're carrying them about in your bag. In terms of the sound, they perform better than I had expected. 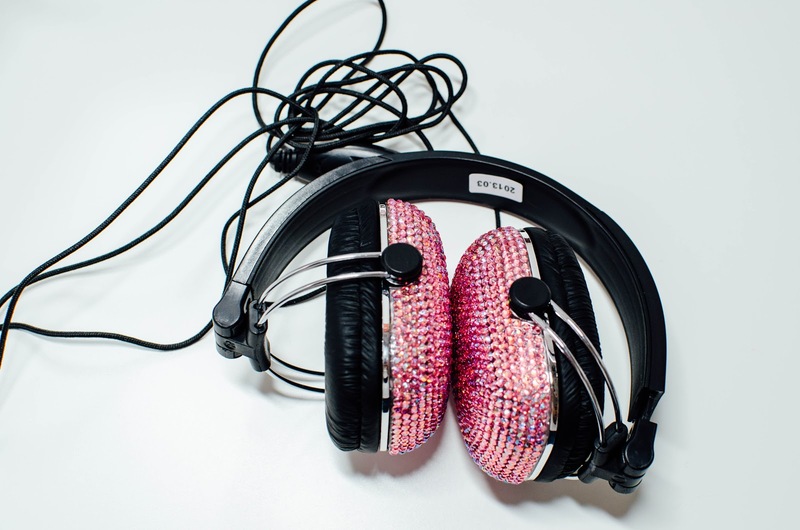 Upon reading the reviews beforehand, I read a few people had purchased the headphones for their daughters and granddaughters so I thought they would be okay headphones, but have a moderate sound level for little ears. However, if you turn your volume up more on your actual phone, the volume increases even more when the volume is turned up fully on the headphones. They are not the greatest headphones to buy if you like to completely block out background noise and have no disturbances whilst listening to the Top 40 greatest hits of all time. However, for the low price, the performance they give and of course the look they have; I think they are great for people who don’t like their music too loud. They are also wonderful for little girls who are just starting out listening to music and have asked for a pair of headphones for their birthday or Christmas. 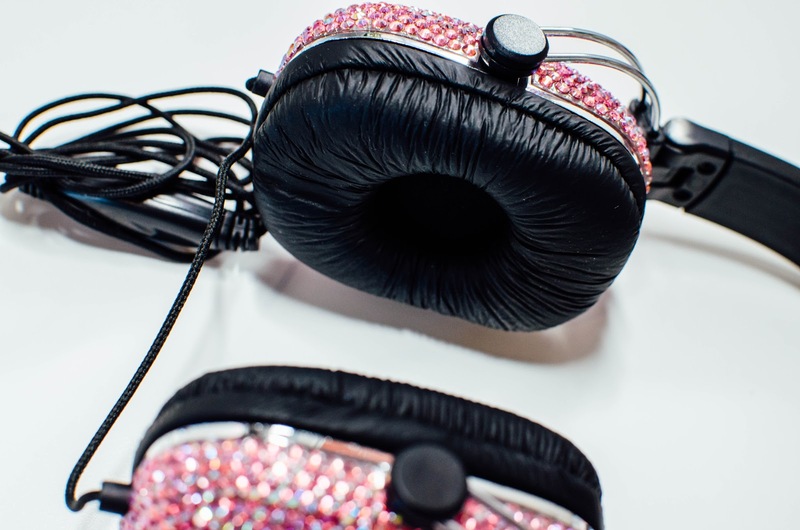 The headphones retail for £17.95 and are exclusive to Prezzybox. These look FABULOUS! I usually go a little pricier with headphones but these don't sound bad for the price! OMG! I bet these look amazing against your purple hair!!! Great about the sound and the rope wire...but slightly annoying about them not having a button on them for skipping etc. But you can't really argue with the price, hey? They are so super pretty and great fun. A lovely gift idea.